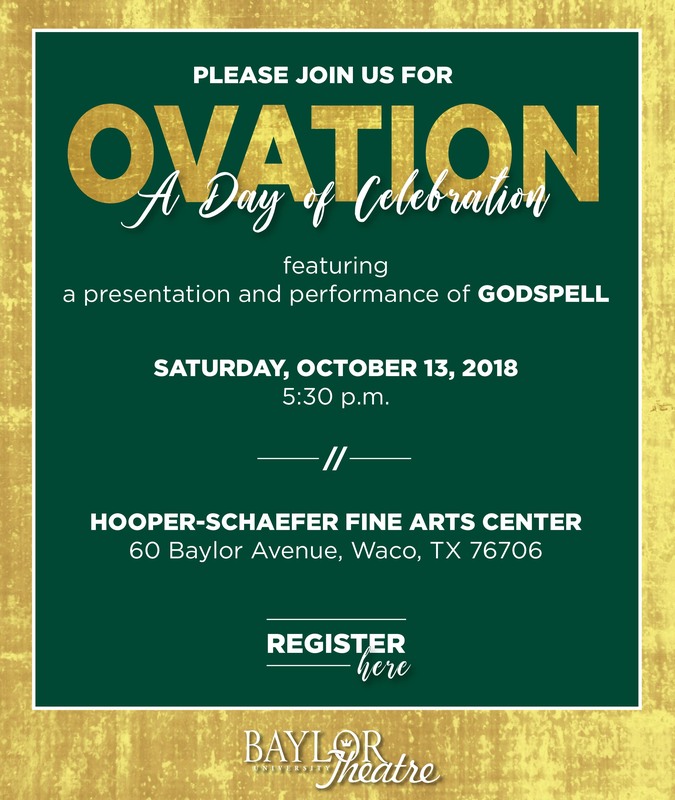 Please come and celebrate Baylor Theatre with us, along with friends old and new. We will celebrate Pat Cook's 89th birthday, DeAnna Toten Beard becoming our new Chair, and Stan finally getting an office next to Lisa. We will tell stories of the past and look to the future, network, and see how much the university and the department have changed over the years. We hope that hundreds of you will make plans to come back and join us. Our last really big reunion was in about 2003, so let's have a HUGE turnout! If you have not yet received your email, click on the invitation image to RSVP for the event. Then please call the box office at 254.710.1865 to reserve your tickets -- every alum receives two free tickets and additional tickets are $20 each.